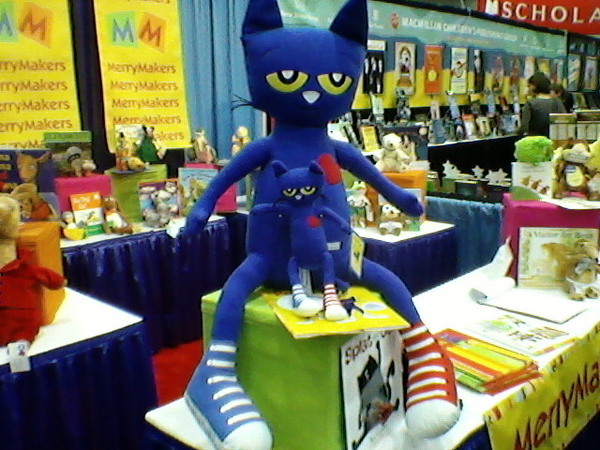 Check out who I met at ALA Midwinter! I’m spending a few days in San Diego meeting with other amazing librarians at the ALA Midwinter Meeting. One of the highlights was meeting this celebrity on the exhibit floor………GIANT PETE! Giant Pete and his buddy little Pete! Pete (regular-sized, not giant) recently spent a day at my library, and I documented his visit with photographs. When I return to home base, I’ll write a post about Pete’s day!